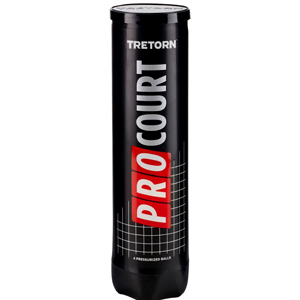 The Tretorn Pro Court, ITF Approved pressurised tennis ball is fantastic value for money. It is very durable in all weather conditions and is a exceptionally light and comfortable to play with. It has a responsive and durable rubber core and a premium duraweave felt that stops it ‘fluffing’ up in the rain. It is perfect on all surfaces and is a great choice for performance and value.